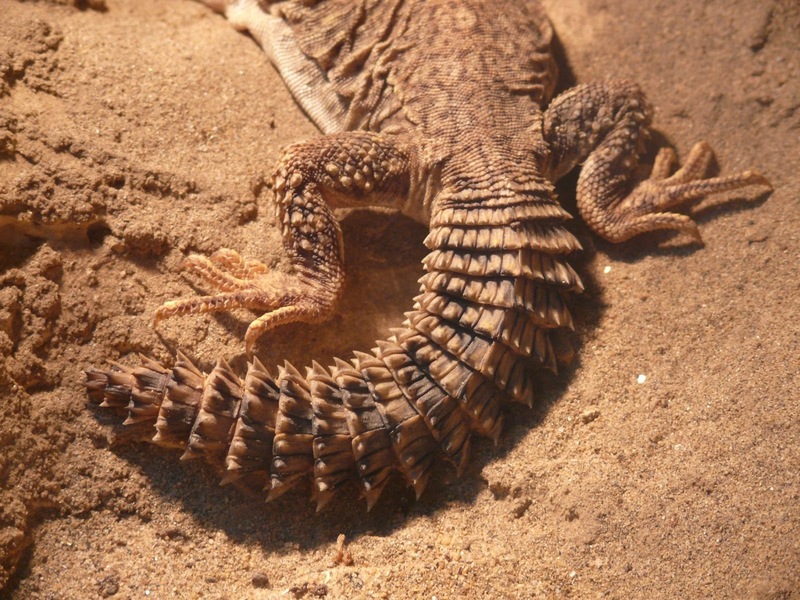 Spiny-tailed Lizards are just over a dozen members of the genus Uromastyx. They are also known as Dabb Lizards or Mastigures. 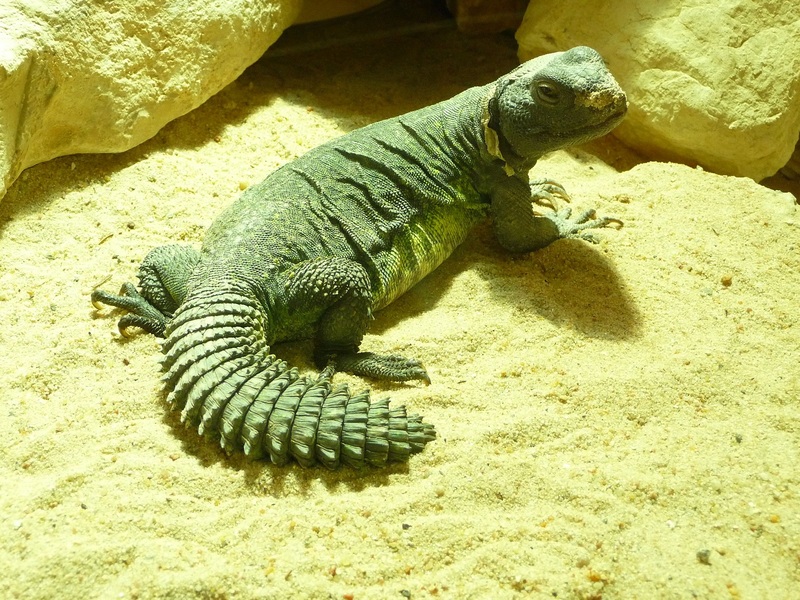 They belong to the Agamid family and bear the large, flattened body, blocky head and short limbs seen in certain other Agamids like the bearded dragon. What they really have, though, is a crazy tail. It's... Spiny! 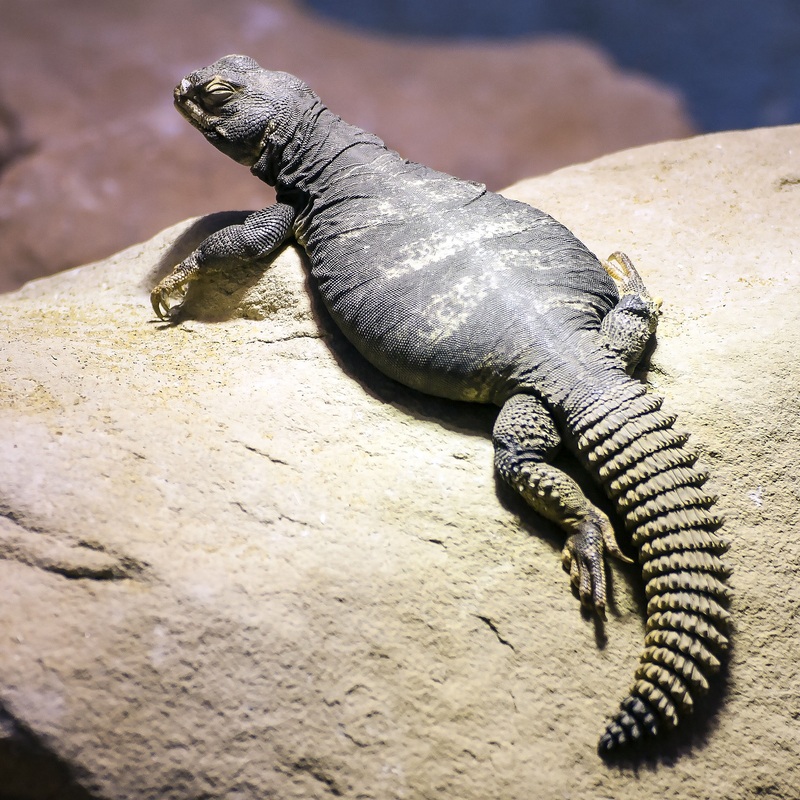 Uromastyx means "tail-whip" or "tail-scourge" and they can indeed use that bulky and repeatedly spined tail to attack predators and even draw blood in the process. They won't be cracking bones like an ankylosaur but even the smallest Spiny-tail might at the very least inflict a host of paper cuts in one, fell swoop. And who can deal with more than one paper cut at a time? 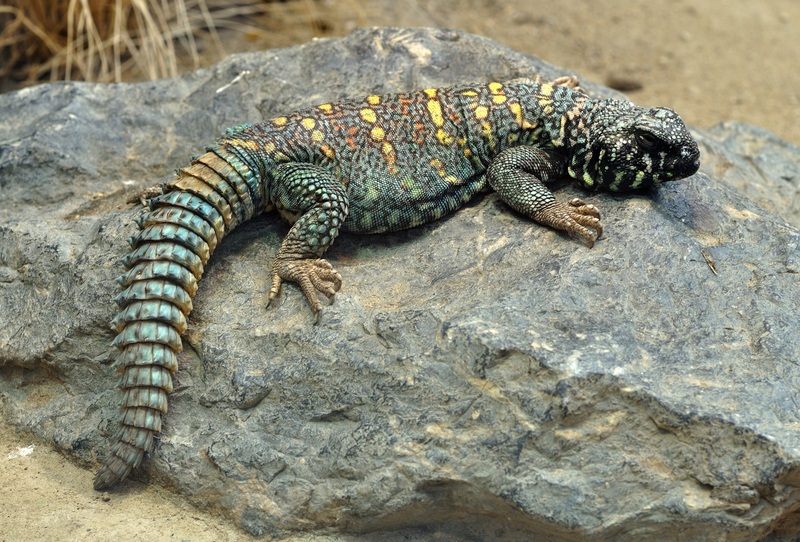 Speaking of which, the smallest Spiny-tailed Lizard is U. macfadyeni from Somalia, who reaches a total of 24 cm (10 in) long. The biggest is the Egyptian Mastigure (U. aegyptia) at about 76 cm (2 ft 6 in) total length. 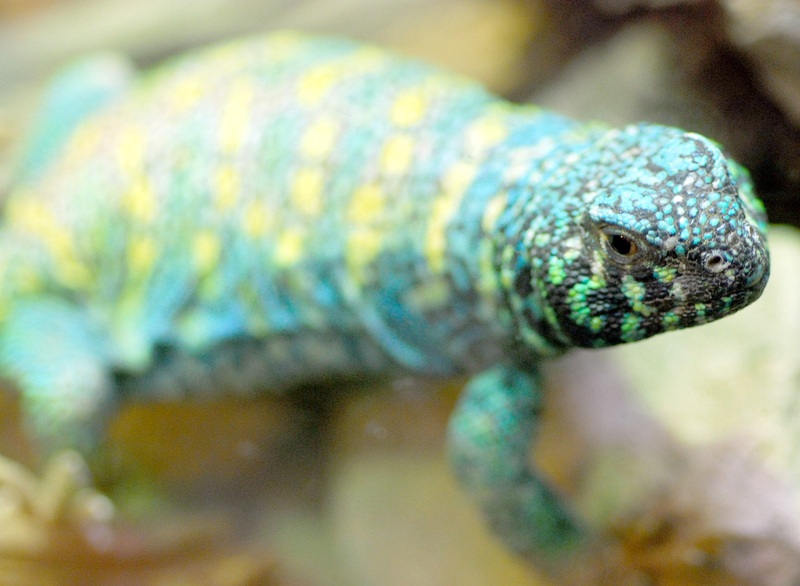 Spiny-tailed Lizards live in dry habitats from North Africa to the Middle East. They like rocky and arid land with lots of crevices to hide in and earth in which they can establish burrows to spend the night. By day, they emerge to feed and despite their dry habitat, they're mostly herbivorous. Some species will supplement their diet with some amount of meaty prey, but they usually keep to leaves, seeds, flowers and fruit. 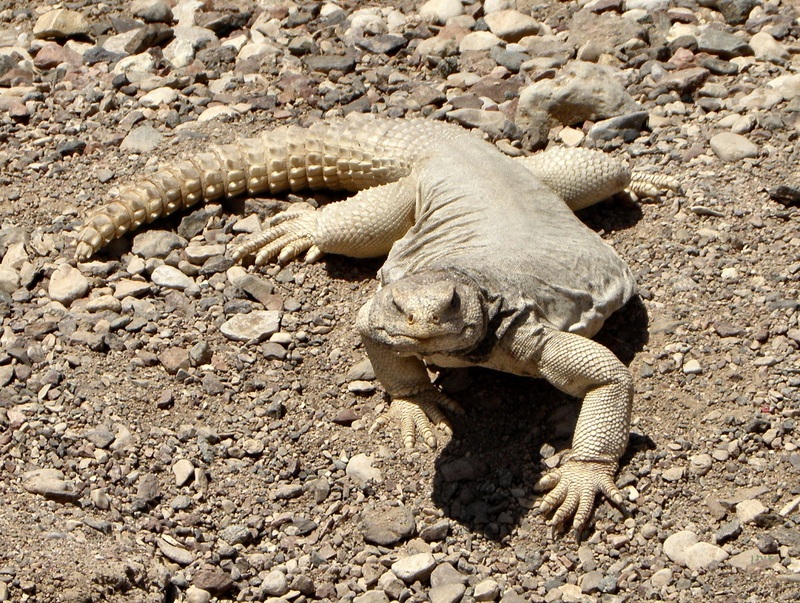 Spiny-tailed Lizards are territorial, perhaps because they're herbivores who live in a desert. They live alone or in small groups of females headed by a male. Interlopers are vigorously chased away and the whole group may share extensive, underground burrows for several years. Whoa! The Ornate Mastigure (U. ornata) needs to clam it down! At breeding time, females lay about a dozen eggs which take a few months to hatch. The hatchlings are usually about 10 cm (4 in) long and in some species will spend several weeks or months in their parent's burrow. I wonder if their parents give them belly rubs? Yeah, not so nice when it's getting flung at you! Oh my god! that last video was just too much! I wonder how they managed to get it to do that. @Porakiya Draekojin: Crazy, isn't it! I don't think they trained her anything, I guess they were keen to rub her belly and both lizard and owner discovered how much she enjoyed it!